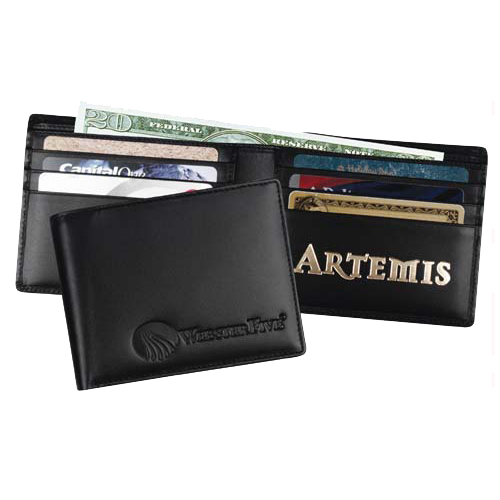 The classic Men's billfold. Simple, elegant and compact. Holds six credit cards. Click here to view and download a pdf. Imprint area: Outside 3" x 2", inside pocket - 2" x 1"